17th Annual Builders Jeopardy – At Paradisos in Kenai! 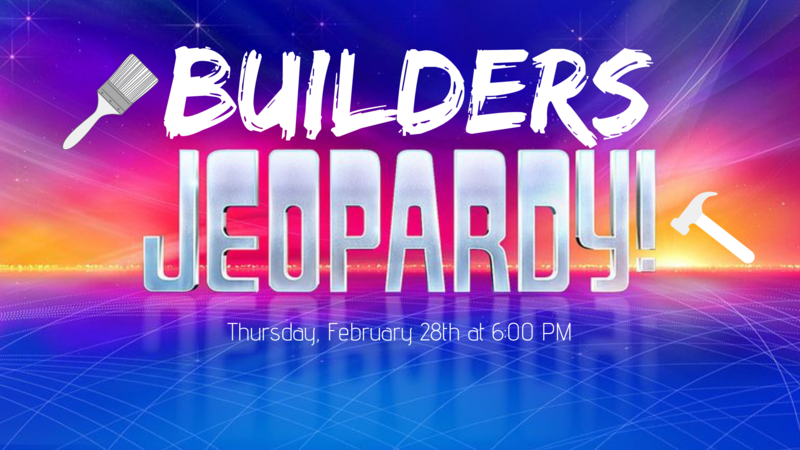 Get ready to participate in our Annual KPBA Builders Jeopardy at Paradisos! Pizza, salad, and non-alcoholic beverages included. It’s a fun night for all, presented by Wisdom & Associates. Please use the form below to RSVP for this event. Cost will not exceed $25 per person, but we’re hoping to be able to reduce that price with the help of sponsors. We’ll post an update as soon as we have the details firmed up. RSVPs are due no later than February 24th. More than 6 - please contact me about a discount! Sharing an idea that would contribute to this event! A KPBA representative will confirm your selection via phone and email. Remember - there are all kinds of ways you can help with this event. We love ideas and look forward to this being another awesome event for our members and our community!